I was recently pointed to, or reminded of, Robert J. Bidinotto's article The Contradiction in Anarchism . The article is nearly a decade old, so I don't know whether Bidinotto still stands by everything in it; but his criticisms of Market Anarchism  are nonetheless worth addressing. I agree with Bidinotto that the use of force needs to be governed by constitutional restraints. But I suspect he's being misled by a metaphysically illusive picture of what constitutional restraints are and how they work. First of all, when we speak of constitutional restraints we are presumably not talking merely of restrictions written into a legal document. Such paper prohibitions are neither necessary (look at Britain) nor sufficient (look at Soviet Russia) for actually operative restraints. What matters is a nation's 'constitution' in the original sense of the actual institutions, practices, and incentive structures that are in place. But a constitution in that sense has no existence independent of the actual behaviour and interactions of actual human beings. The metaphysical illusion I referred to is the habit of thinking of 'separations and divisions of powers, and checks and balances,' as though these structures existed in their own right, as external limitations on society as a whole. But in fact those structures exist only insofar as they are continually maintained in existence by human agents acting in certain systematic ways. A constitution is not some impersonal, miraculously self-enforcing robot. It's an ongoing pattern of behaviour, and it persists only so long as human agents continue to conform to that pattern in their actions. Since human beings have free will, no social pattern of behaviour can be automatically self-perpetuating; nothing whose survival depends on the choices of free agents can be guaranteed to survive. (Hence Bidinotto's dismissal of the Icelandic experience  with a competitive legal system on the grounds that it 'didn't last' and so must have lacked 'viability' is off the mark ' to say nothing of the fact that Iceland's stateless period lasted successfully for over three centuries, which is a lot longer than the United States has lasted so far.) But such social patterns can be more or less likely to survive. A way of interacting that tends, by and large, to give most of the people participating in it an incentive to keep interacting in that way is more likely to survive than one that does not. Bidinotto thinks that legal services cannot be supplied on the market because a functioning market presupposes a functioning legal order; hence government is a 'a precondition of the market.' Now it is true that a functioning market requires a functioning legal order; but it is equally true that a functioning legal order requires a functioning market. This is obviously true if the legal order is Market Anarchism; but it is no less true when the legal order is a government. As Anthony de Jasay has recently pointed out , states can arise only in societies wealthy and orderly enough to maintain them. Hence a state cannot exist unless there is a functioning economy of some sort. (Anarchists take this to show that the state is a parasite on productive activity; the most the minarchist can claim is that it is a luxury good.) In any case, a functioning market and a functioning legal order arise together; it's not as though one shows up on the scene first and then paves the way for the other. To think otherwise is to fall once more into the metaphysical illusion that economic activity takes place against the background of a legal framework whose existence is somehow independent of the activity it constrains. Bidinotto complains, as we've seen, that competing providers of legal services in an anarchic order will have conflicting interpretations of justice. No doubt they will. But how is this different from the system he favours? The whole point of having a checks-and-balances system presupposes that the agents who administer the system will have conflicting interpretations of justice. There'd be no point in having distinct branches of government limiting each other, or having the people limit the government through the franchise, if unanimity on questions of justice could be expected. In both Market Anarchism and limited government, then, the working of the system will involve different parties trying to enact their several conceptions of justice. The best system is not one that eliminates such conflict ' no system can eliminate it ' but one that does the best job of providing its constituent agents with an incentive to resolve their disputes a) peacefully, and b) in a manner favourable to individual liberty. The question is: which does a better job of this ' markets or governments? In any case, trying to refute anarchism by pointing to undesirable instances of anarchy is about as bad an argument as trying to refute Bidinotto's advocacy of government by pointing to the Soviet Union or Nazi Germany. Whether a state is horrendous or decent depends in large part on its constitutional structure; whether an anarchic society is horrendous or decent likewise depends on its constitutional structure. Because he apparently does not see that an anarchic society can have a constitutional structure, Bidinotto does not realise that anarchies can differ in constitutional structure just as states can. 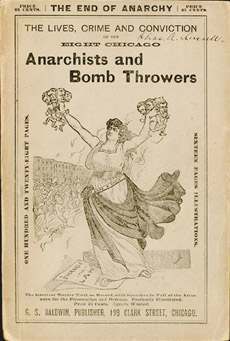 But the historical record  clearly shows that anarchies can come in peaceful and productive forms, not just violent ones. What guarantees that private entrepreneurs under Market Anarchism will not behave in tyrannical and abusive ways? The answer, of course, is that nothing 'guarantees' it, just as nothing 'guarantees' that governmental politicians will not behave likewise. But under which system is such behaviour most likely to be restrained? The superiority of anarchy over government here lies in the fact that under government the tie between the decision to commit aggression and the cost of that aggression is far weaker than under Market Anarchism. Under a governmental system, the cost of state policies leading to war is borne by taxpayers and conscripts, not by the politicians who crafted those policies. Under Market Anarchism, by contrast, agencies who resolve disputes through violence rather than arbitration will have to charge higher premiums and will thus lose customers. A government can't lose 'customers' (taxpayers) unless they take the drastic step of moving to a new country; by contrast, switching protection agencies would be as easy as switching long distance service. The proper response to Bidinotto's challenge 'If the 'demand' for peace is paramount, please explain the bloody history of the world' is: the bloody history of the world is the result of governments buying war at less than the market price by shifting the costs to their subjects. Similar reasoning applies to Bidinotto's worries about each special interest group hiring its own protection agency. Under the governmental system, special interest groups don't have to pay the full costs of their policies; they get politicians to fund their schemes out of the general tax base. It's relatively costless for special interests to demand that government impose their particular values on society. But suppose that, under Market Anarchism, when you get your monthly bill from Acme Security Company, you see that you're paying $X for 'basic service' (protection against force and fraud) and $Y for 'premium service' (snooping on your neighbours to make sure that they're not taking drugs or having abortions or playing violent video games). The number of bigots who would be willing to pay to have their own values forcibly imposed is bound to be smaller than the number of bigots who merely advocate such imposition. Talk is cheap. And the few fanatics who are willing to put their money where their mouth is would be easier to deal with under anarchy; you can't arrest people who lobby for government-imposed aggression, but you can arrest people who aggress. So disputes are likely to be resolved peacefully. But how likely are they to be resolved correctly? Admittedly nothing guarantees this. But a) a competitive court system is more likely to be information-generating than a top-down legislative system, for familiar Hayekian reasons; and b) since aggression is costlier than non-aggression, the dispute-resolution will tend to favour laws with a broadly libertarian content. Bidinotto advises us to recall 'what Adam Smith had to say about businessmen.' What Smith had to say, of course, was that 'people of the same trade seldom meet together, even for merriment and diversion, but the conversation ends in a conspiracy against the public.' Smith's meaning was that businessmen are constantly running to government for favours, trying to get subsidies or protectionist legislation. And as Smith looked around him, he saw that generally they succeeded. Though he campaigned tirelessly for free trade, he did not expect to succeed; 'to expect,' he wrote, 'that the freedom of trade should ever be entirely restored in Great Britain, is as absurd as to expect that an Oceana or Utopia should ever be established in it.' Smith rightly saw government as the malign tool of wealthy private interests rather than a fence against them. Indeed, government magnifies the power of the rich. Suppose I'm an evil billionaire, and I want to achieve some goal X that costs one million dollars. Under a free-market system, I have to cough up one million of my own dollars in order to achieve this goal. But when there's a powerful government in charge, I can (directly or indirectly) bribe some politicians with a few thousands in order to achieve my million-dollar goal X. Since the politicians are paying for X with tax money rather than out of their own pocket, they lose nothing by this deal. Let me end with a note of protest against Bidinotto's claim that Lysander Spooner's argument  that we never signed the Constitution is irrelevant, because the Constitution is a limitation on the federal government, not on us. Bidinotto's critique drops the historical context: a war had just been waged to prevent the South from seceding, so obviously the Constitution was being interpreted as a constraint on parties other than the federal government.